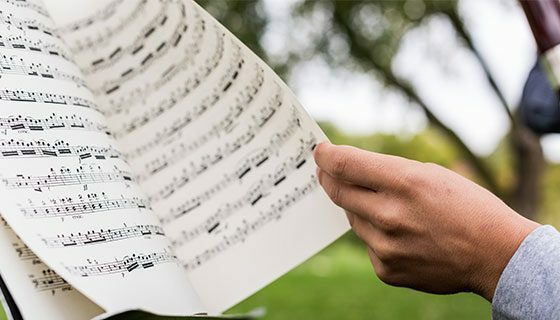 A great college experience includes participating in music and the fine and performing arts — and Hastings College is a great place for you to jump in. Fine arts majors and non-majors excel here. You’ll boost your visual and critical thinking skills and gain practical experience for a successful career. Play it. Sing it. Develop your own style and learn from the best. 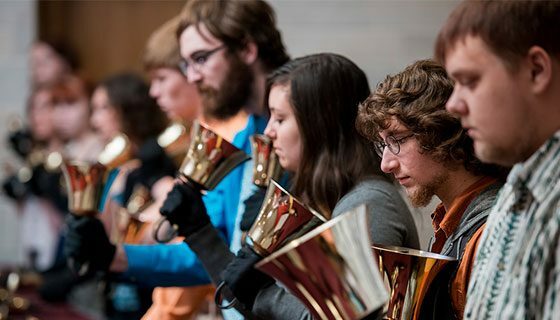 Since 1882, the Hastings College Music has nurtured a stellar reputation for quality programs, dedicated faculty and talented students. You’ll find the right stage for your talent in one of our many vocal and instrumental ensembles. With a little creativity and 2,000 degrees of heat, you can turn glass into beautiful art. Our technologically advanced glassblowing studio is one the best in the region and tops nationwide. 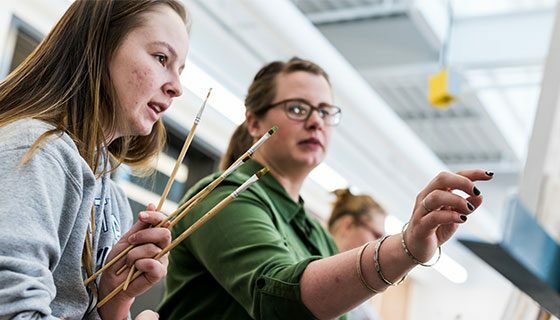 You’ll also find painting, sculpture, printmaking, graphic design, art history and photography. Your medium is calling. Act. Direct. Design. Build. Write. Light. 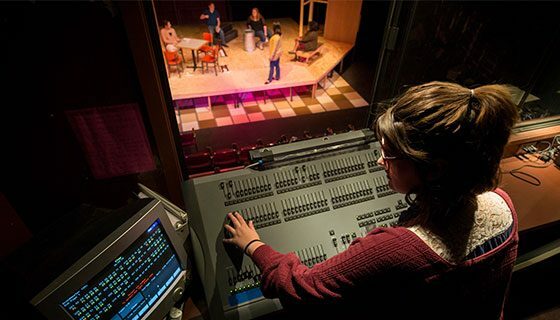 From setting the stage and running sound to having your name on the marquee, theatre at Hastings College lets you do it all. With several productions a year, you’ll have plenty of dramatic (or comedic or musical) experiences to add to your repertoire. Majors, minors and theatre aficionados are welcome to get in on the act! Are you ready to take center stage?